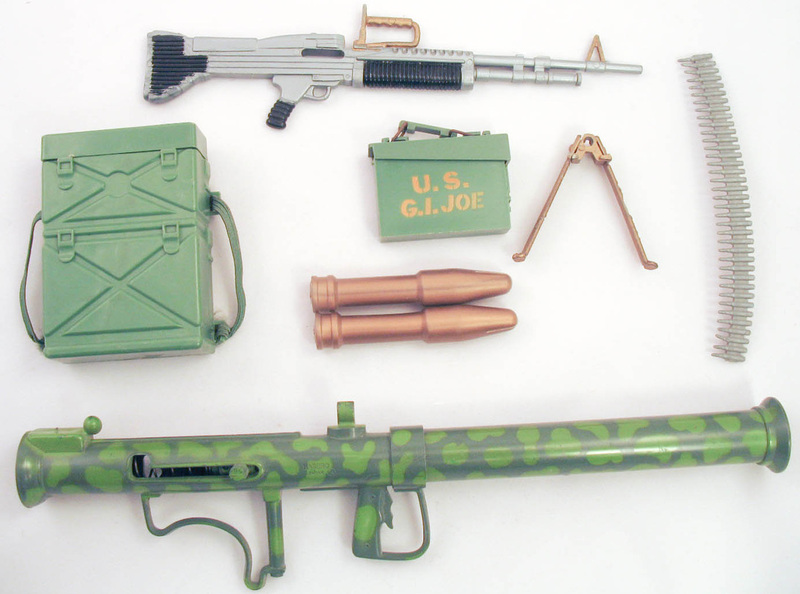 A 1968 only release, the Combat photo box (7540) re-released accessories found in other sets. The helmet and jacket are marked Hasbro Hong Kong. It's likely that this set was a way to try selling down the stock of military accessories before the move to the Adventure based line in 1969. A number of bagged contents sets for Combat, along with some loose items were found in a Hong Kong warehouse in the late 90s, so there are some out there, though they have pretty much disappeared into collections. Please note: I neglected to include the grenades in the spin and photo above, the set should have four. Image of photo box courtesy Sympathy for the Devil, a New England collector.